No one likes to make mistakes, even if the mistakes are small and unintentional. With plumbing code violations, for example, people often don’t realize that they’ve even made a violation. You might only know about a violation if one of your neighbors or a visitor to your business complains or if you are found violating the plumbing code during a business inspection. 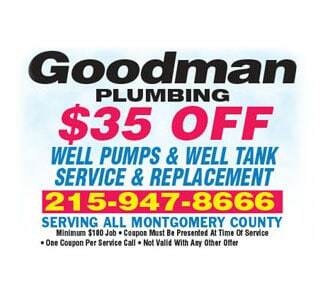 However you find out, it is best to fix this problem as soon as possible with the help of a qualified professional plumber like Goodman Plumbing. When you are issued a plumbing violation, that means that someone has deemed your plumbing practices to be in violation of the Uniform Plumbing Code. While it might take a little time and money to fix a plumbing code violation, it is better for your personal safety as well as family members or customers. 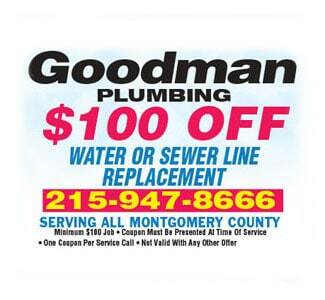 Plumbing codes are issued by cities, and they require the services of a plumber to fix. It is very possible to get a violation even if you were not aware of a problem. Sometimes incorrect installation, which you may have had nothing to do with, can be the culprit. What is the Uniform Plumbing Code? The Uniform Plumbing Code was created by the International Association of Plumbing and Mechanical Officials and aims to standardize plumbing practices for the health and safety of all people. Regularly updated, the code emphasizes sanitary practices but does not prohibit new advancements in plumbing technology. Depending on where you live, there may be additional plumbing requirements for your area that you will need to be aware of. What Are the Common Types of Plumbing Violations? Often plumbing violations are caught because the plumbing is found to be old and outdated. This isn’t just an inconvenience; it’s also a serious health hazard. When the P-trap in your drain isn’t working right, to give an example, you can be exposed to dangerous toxic sewer gases. Other examples of plumbing code violations mostly have to do with plumbing that is old, unsanitary and doesn’t conform to the Universal Plumbing Code. 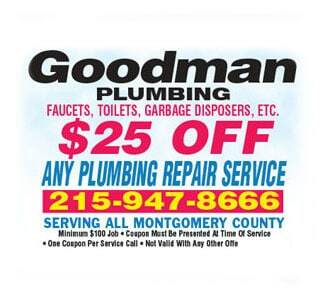 The best thing to do when you first learn about a plumbing code violation is to contact a reliable plumber in your area to correct the problem and get you violation-free as soon as possible. If the plumbing violation was found on a commercial building, calling a plumber and having the problem fixed is not only necessary, but it is also vital to the success of your business. Don’t wait when you’re found in violation. Call a reliable professional and get the problem fixed without delay.